Center who played for six NHL teams from 1997 to 2011. 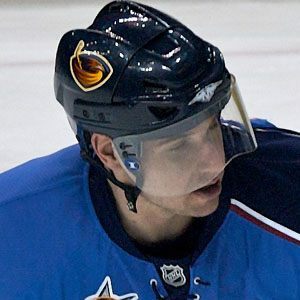 His best NHL season came in 2008-2009, when he recorded 73 points for the Atlanta Thrashers. He played for four years at Clarkson University, where he recorded 74 points in 37 games during his senior year. He spent his last professional season with the New York Rangers and the AHL's Connecticut Whale. He was born and raised in Kanata, Ontario. In 2008-2009 he was part of a dominant trio dubbed the Little White Russian Line, along with Ilya Kovalchuk and Bryan Little.